Global Climate Impacts coordinator for 350.org. Working with a grassroots movement to respond to the impacts of climate change. It was two years ago this week that one of the world's strongest storms to make landfall raged its way over the Philippines. Typhoon Haiyan (also known as Yolanda) killed over 6,000 people, caused upheaval for 11 million Filipinos and left tens of thousands homeless. 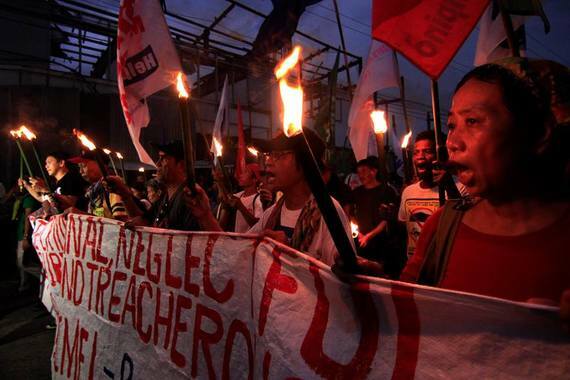 It was and continues to be the biggest humanitarian crisis in the Philippines' history. Two years on, there's still thousands of people living at temporary shelter sites - and this week it's expected that 20,000 survivors of the typhoon will march through ground zero, demanding accountability from their government over its recovery efforts, and a global call for more ambitious action to reduce greenhouse gases. It is important we pay attention to this moment because Super Typhoon Haiyan was a landmark warning for our world. With one degree of global warming already added as a result of human caused emissions, there's no escaping that we now live in the age of the Super Typhoon, and that will bring severe destruction. But that scale of impact is small compared to the impact of storms that would rain down in an atmosphere 2 or 3 degrees warmer (as we are currently tracking toward). Super Typhoon Haiyan reminds us that climate change is about justice. The world's most vulnerable people, the ones that did the least to cause climate change, are the ones that continue to feel its impacts first and worst. 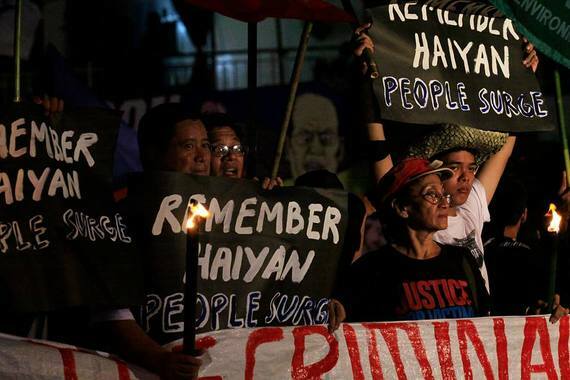 It's this injustice between those causing the problem (and getting away with it) and those facing the impacts, which the alliance of typhoon survivors, called 'People Surge' are challenging. 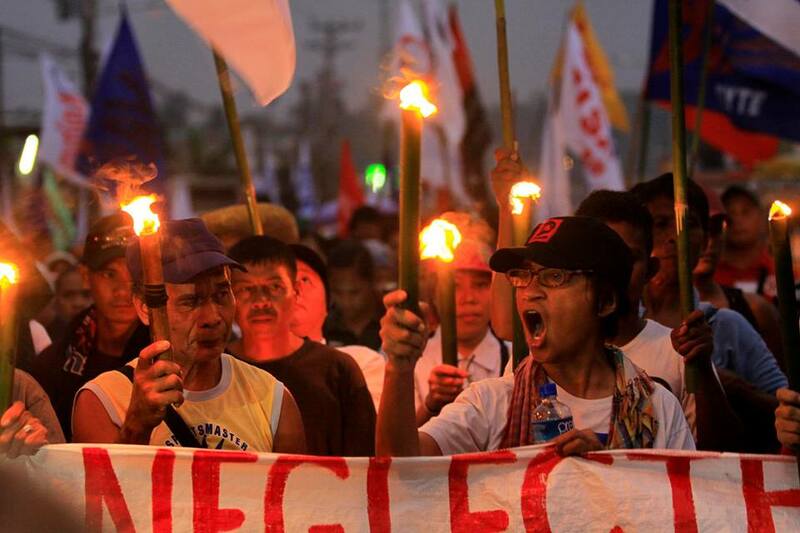 Their two primary goals are "to demand accountability of big polluters and our Government as it is set to construct and expand more coal fired power plants; and demand people's (survivors) participation and not corporations in the reconstruction plan for disaster survivors." The experiences in the Philippines remind us that governments are often too willing to give resources, money and power to big corporations to solve their problems than to invest in people-centered responses that promote more equal sharing of resources, and empowerment for people to be leaders in the recovery process. Thankfully the Philippines has a rich history of grassroots action winning significant governmental policy change, and that's the work ahead for People Surge. Meanwhile what is also hopeful is that people around the world recognize the need to seek justice for the Philippines, and those most vulnerable to the impacts of climate change. For example, in Australia this week, vigils will be held at fossil fuel company headquarters across the country to remind the industry of the direct impacts of continuing to burn fossil fuels and blocking action on climate change. The climate is changing: we have a new normal. The environment in which all weather events occur is not what it used to be. All storms, without exception, are different. Even if most of them look just like the ones we used to have, they are not the same. 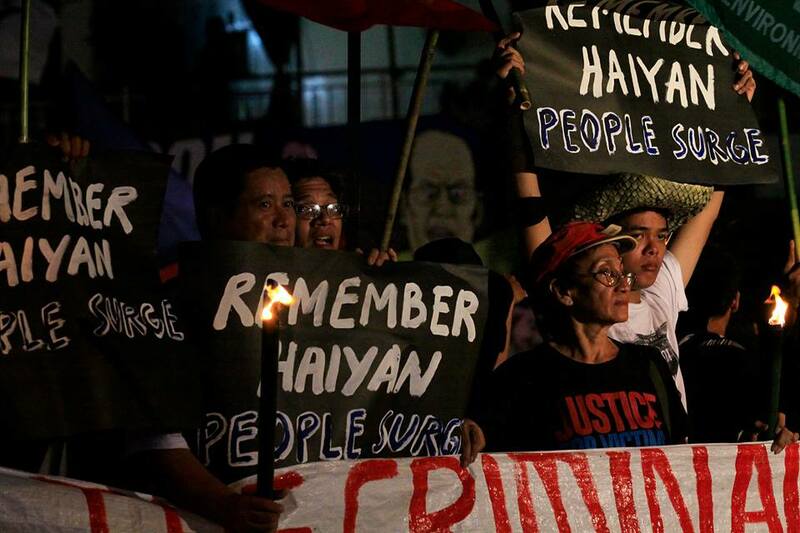 Two years from Haiyan, the world should know better--let us heighten our struggle, take justice where it is due and hold those responsible ultimately accountable.